PARIS – the angle we took, and why we took it. Like any big city, there is so much historical, cultural and visual inspiration; sometimes it is easier to narrow down your area, and era, of influence. By closing some stylistic doors and choosing a distinct direction, it is much easier to create a cohesive collection. Why did we choose 1920’s Paris? 1920’s Paris was a time of reinvention. Desperate to move on from the horrors and austerity of war, old restrictions were tossed aside; people rebelled against their former ways, adopting a new, more modern lifestyle and becoming lavish, bold and glamorous. It was a time of great cultural freedom, discovery and progress. Paris in the 20’s was an exciting place, and it became the place to be for intellectuals, artists, writers and socialites the world over. The art deco movement was born of a time when there was a need for things to be new and modern – a quality we feel that transcends different eras well. 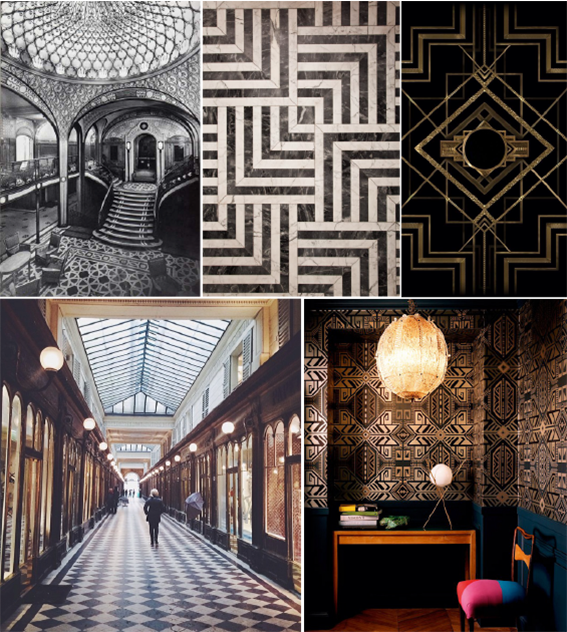 Paris oozes glamour, elegance and chic, and the art deco era had these attributes, but seemingly on steroids! The movement was defined by luxury, glamour, exoticism, stylised natural forms and the machine age. We have been influenced by these characteristics but have softened and modernised them. We have included silvery metallic prints inspired by the machine revolution, used luxurious but modern fabrics like linen and fine wool, delicate embroidery and embellishments inspired by the beading of the flapper dresses, included contemporary celestial prints and simple but feminine florals. Possibly most notably in this collection, is the obvious African influence. The art deco movement was intrigued with exoticism, particularly North and West Africa, (and Asia). We were especially inspired by the African stylistic influences that are still a large part of the Parisian aesthetic today. As well as the patterning, we have included exotic warm colour combinations of mustard, black, limestone and earthy olive green.